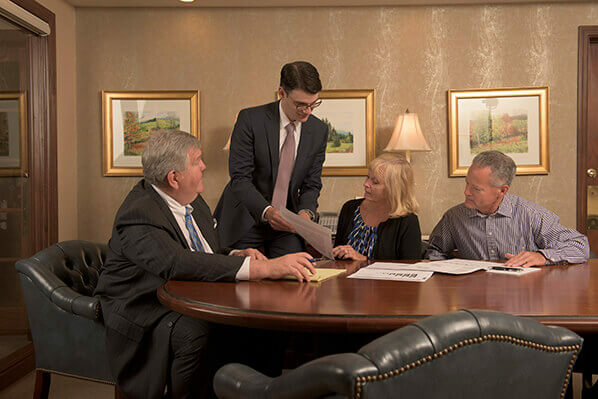 The professionals at Kooman & Associates offer financial planning and investment services to a diverse group of clients seeking a trusted advisor to provide personalized service, transparency and accountability. The individuals we serve are serious about planning for the future. They understand that there are no shortcuts and that a successful financial plan requires steadiness and discipline over an extended period of time. The people who benefit most from working with our firm are looking for a trusted advisor to help them navigate life's obstacles and turn short-term challenges into long-term opportunities. Enthusiastic – they are passionate about life and want to maximize the amount of time they can dedicate to the people and things they care about most. Steady – they are focused on long-term outcomes, like successful retirement and generational planning, rather than daily fluctuations in the stock market. Committed – they want to secure their financial future through deliberate action and planning, rather than leaving it to chance. If this sounds like a good fit for you, please contact us so we can talk about how our team can help you pursue a successful future. Our institutional clients tend to be nonprofit organizations in Central and Western Pennsylvania. Nonprofits face a unique set of challenges because their board members are typically volunteers who support and believe in the organization's charitable purpose. Such volunteers are passionate and have many valuable skills to offer, but may not have experience managing large investment portfolios or with the legal responsibilities that come with doing so. The professionals at Kooman & Associates are positioned to address these issues because we have decades of experience with community nonprofits and the full support of Raymond James Institutional Consulting Services. This allows us to offer our institutional clients local accountability and expertise, supported by the resources of a professional team dedicated to providing advisors with guidance on institutional accounts. Your plan is worth a second look. Get started now or refer a friend.